Latte: Ben is knitting another tie, Abby started Cookie A's Clandestine socks. 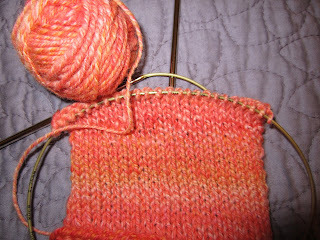 Teri-knits suggested a tie in linen stitch, and Ben is going to try that with sock weight yarn. Grande: Ben finished Bitterroot, but hadn't blocked it yet. 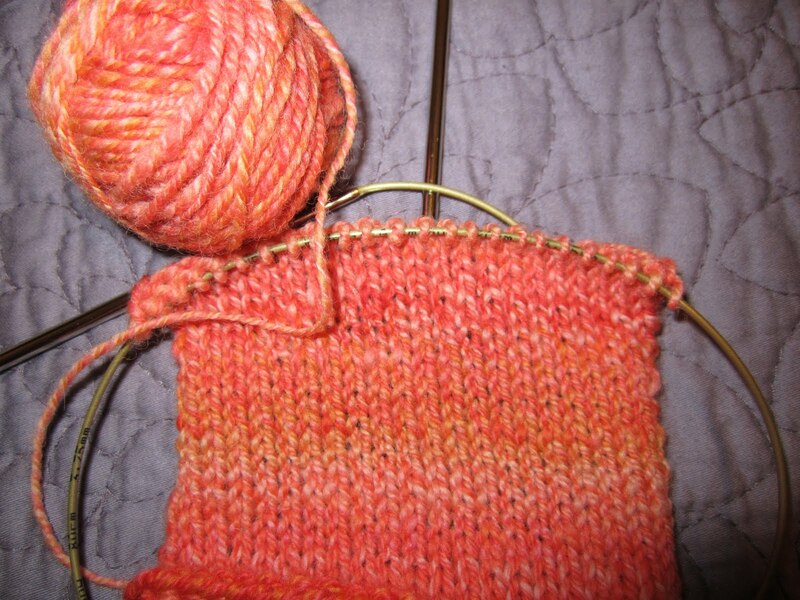 Brewing: Abby wants to knit a Kindle cozy, and is thinking of Argyle. Ben suggests using cotton so that fibers don't migrate into the Kindle's various ports. 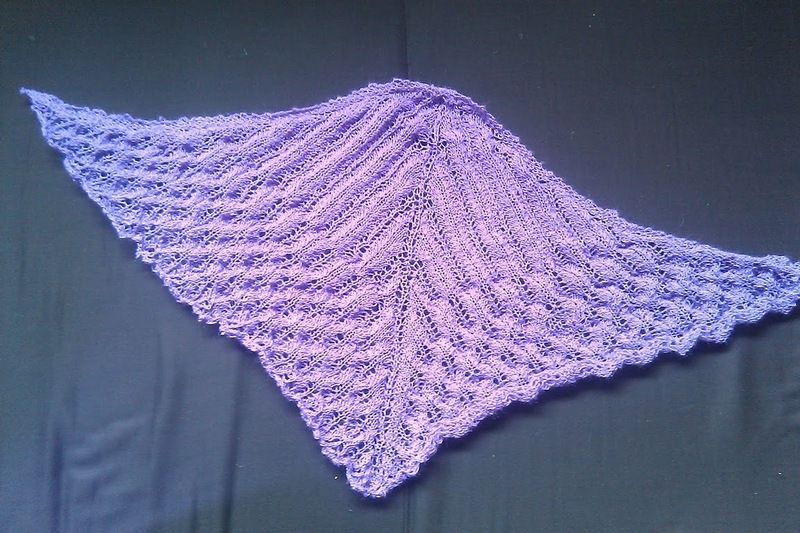 Take a Bite: We begin our discussion of blocking with info and advice about blocking lace shawls. Chai: Abby has had a few "New York Challenges" this week, from a dead mouse who apparently has relatives, to air conditioning woes and a stolen welcome mat. Next week we'll be at the Sock Summit. If you want to me us along with many other podcasters, please go to the Bar-Maids booth #400 on Saturday between noon and 1:30 p.m. We look forward to meeting you! Finally, if you want to to know more about us, check out our interviews with Susan at knitajourney. We recommend listening to Ben's first, since Susan interviewed him before she interviewed Abby. Enjoy! Latte: Abby doesn't have much on the needles other than Vonica and Pretty Twisted. Ben is still knitting Bitterroot. Grande: Abby finished the Transition Point socks. Bitter Cup: Ben tried to knit the Angelus Tie, but his yarn was too thick. Abby had another mishap trying to make a wedding shawl for her friend; she might blame this on the yarn, or else on the distraction of Duck Soup. She also stabbed herself repeatedly with knitting needles. Ouch! 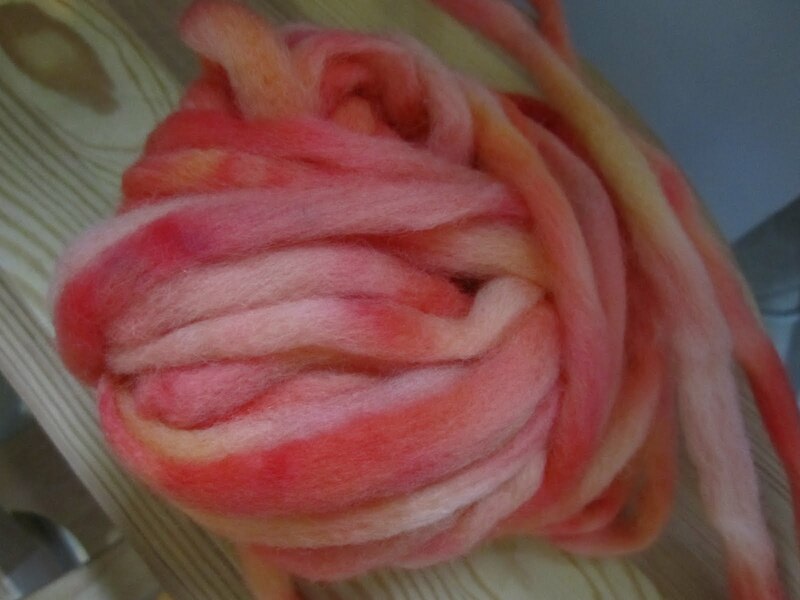 Stir: For this year's Tour de Fleece, Abby's going for quality rather than quantity. 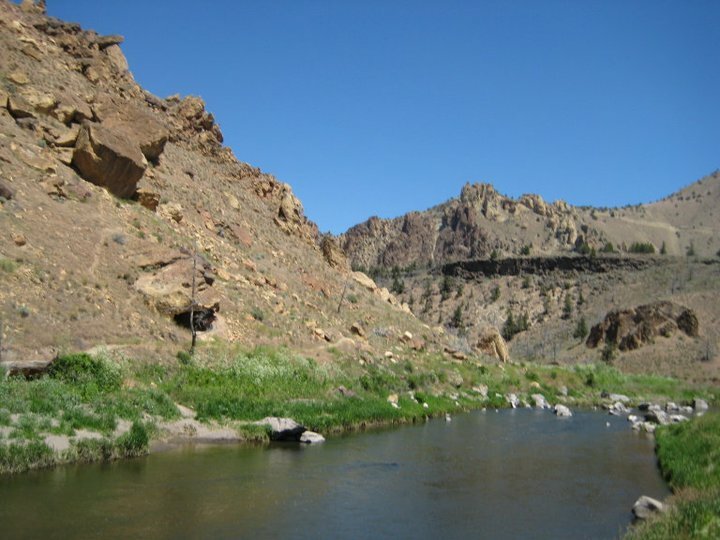 Please join us on Team Sasquatch. Demi Tasse: Abby recommends Adaptor, a free video format converter for Mac. Ben has come up with a book recommendation in the field of economics: Filthy Lucre by Joseph Heath. If you're not quite ready for that, try starting with Freakonomics. Bite: Ben mentioned an article in Slate magazine about how ravelry is "better than facebook". We ask you what community you would like to see with a super-functional website, and how you envision that site. Caffeinated: Lots of excitement this week. 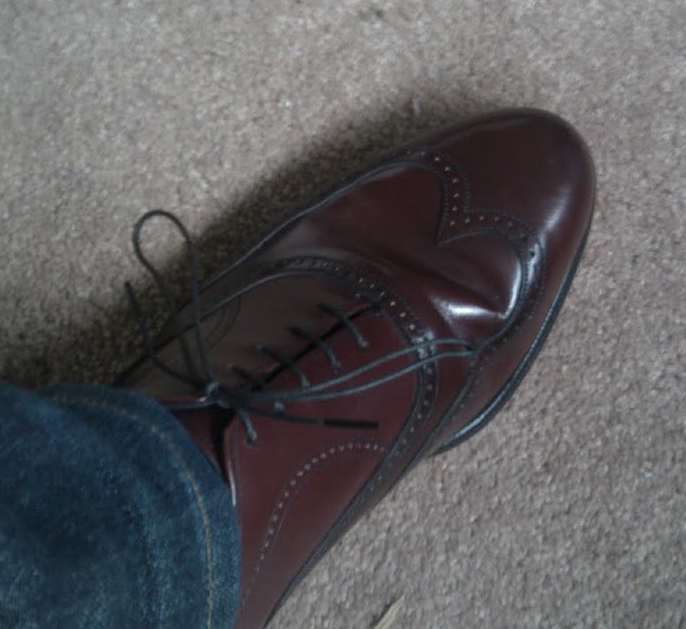 Ben has discovered Put This On, a cool site for men's fashion. Abby is (finally) knitting Cat Bordhi's "Sweet Tomato Heel". You can get the ebook here. Both Abby and Ben are excited about Google Plus. Try it, you might like it! Chai: Abby has mice, yes, again. She recommends various Hudson River Parks as respite from the summer heat, and for their lovely vistas. 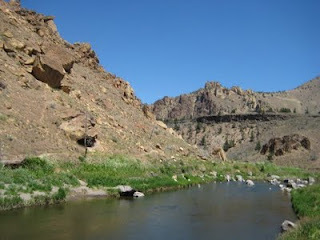 Ben went bouldering at Smith Rock in Oregon (see photo above). When you have listened to the episode, go have a look at this video. Enjoy! Finally, we will be participating in a Podcaster Meet-up/ Meet and Greet at Sock Summit. Stay tuned for the details! Latte: Abby continues to work on the Transition Point socks; Ben continues to work on Bitterroot. Grande: Abby finished the Orchid Thief Shawlette, which you can see here. Bitter Cup: Abby had issues with the Swing Set socks and they are now in time out. Vonica had a few burps too, but is now on track. 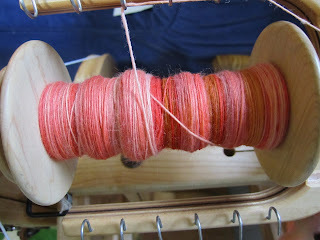 Demi Tasse: Ben had some thoughts on how to recruit more (especially male) knitters. One answer: knit in public! Taste: Abby reviewed Knit, Swirl!, a book of amazing new sweaters by Sandra McIver. These gorgeous, drapy inventions are unlike anything we've ever seen before. Bite Back: Ben reveals that he is studying for two degrees; one in History and another in Economics. Abby will reveal what she's studying in her Knitajourney interview with Susan, but invites you to guess! Stir: Tour de Fleece has been a steep learning curve for Abby, but after much trial and error, and a great deal of help from Judith Mackenzie's The Intentional Spinner, by George, she thinks she's got it! Tip Jar: Try to see colors in natural light and trust yourself!